select *, DATE_FORMAT(birthday, "%b %e, %Y") as _birthday, DATE_FORMAT(died, "%b %e, %Y") as _died, MONTH(birthday) as month_birth, DAY(birthday) as day_birth, DATE_FORMAT(birthday, "%b %e") as _birth_day_month from agatti_people where agatti_people.u_name = "jane-powell"
Shares birthday with Wallace Beery, Lon Chaney, Debbie Reynolds see more.. Legendary actress, Jane Powell, was born Suzanne Lorraine Burce on Apr 1, 1929 in Portland, OR. 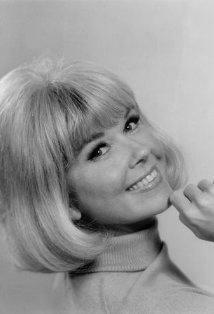 Powell appeared in over 45 film and TV roles. Her best known films include Royal Wedding (with Fred Astaire), A Date with Judy (with Elizabeth Taylor), Two Weeks with Love (with Ricardo Montalban), and Seven Brides for Seven Brothers (with Howard Keel). 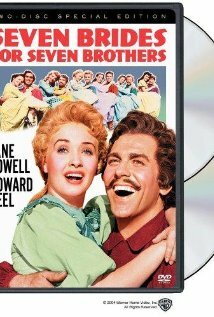 As of December 2018, Jane Powell was 89 years old. 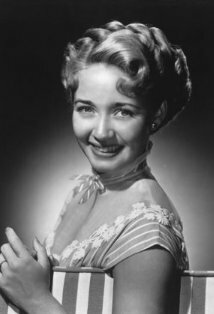 Jane Powell was a sweet-faced American singing star with bubbly blonde hair -- the refreshing teenager who gazed at the hero from afar but eventually got him in MGM musicals of the forties and fifties. 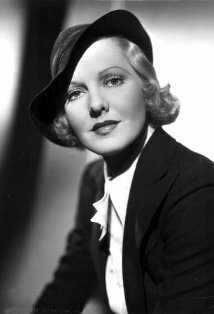 Her film career suffered with the demise of the original screen musical, but she continued working in TV and the theater. She married her fifth husband, former child star, Dickie Moore, in 1988. Jane Powell authored an autobiography called The Girl Next Door and How She Grew in 1988. She was honored with one star on the Hollywood Walk of Fame in the category of Motion Pictures. Powell was never nominated for an Academy Award. Melvin R. Foster: What ever happened to Oogie? Judy Foster: Oh I just gave him up forever for a little while. Adam: Smells good enough to eat. Milly: Tastes good too, so they tell me. Adam: Got any ketchup handy? Milly: My stew can stand on its own feet. Milly: Somehow it just don't seem fitting for a man to spend his wedding night in a tree. Learned and loved to cook before she was 10 years old. First husband Geary Steffin gained fame as a professional figure skater partnering with Sonja Henie. They appeared in ice carnivals as well as motion pictures during the 1940s. He died on July 14, 2004 in Santa Monica, California. One of her hobbies is gardening.